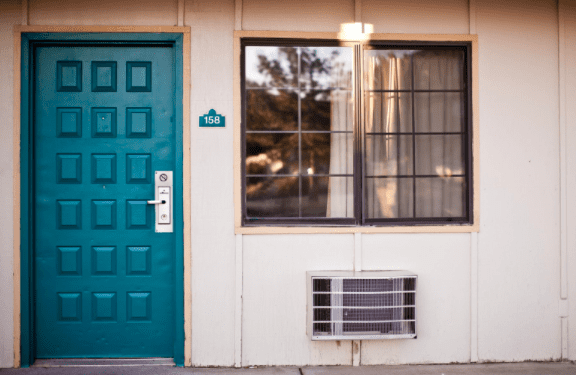 Even when you budget your money carefully and are very thrifty when it comes to arranging your travel plans, there’s one thing you have to ensure that you have sorted, and that’s your accommodation. As a long-term traveler, you may only need a place to rest your head and get cleaned up. Even if you’re on a shorter trip, chances are you won’t want to spend all of your time lounging around the hotel itself. Here are some cheap accommodation ideas options to help you get out and travel, even if you’re on a tight budget. If you’re holding off on traveling because of the cost, here are a few ways to make your travel cheaper by finding cheaper accommodation. If you’ve met friends on your previous travels who you’ve stayed in touch with, why not arrange to stay with them? It means free accommodation and they can show you around, and you could return the favor the next time they’re looking for an adventure. Thanks to social media it’s easy to keep in contact these days and you’re able to build real friendships with the people you meet all across the globe. It’s a fun way to catch up again, and an opportunity for both of you to enjoy free accommodation in a new place in the world. If you already have friends and family who live in other parts of the world then book your flights and arrange to see them! They will appreciate the visit, and you get to spend time with them while having fun and traveling. It doesn’t even need to be on a different continent or country, visiting another state or just a different location in the place where you live can be fun. One of the cheapest forms of accommodation is always going to be camping. You can really pitch a tent in any safe and legal location. Otherwise, you could pay a small fee for staying in a campsite where you will have access to things like showers and even wifi in some places. It’s certainly not a glamorous experience, but if you want to get out there and see the world and this is all that’s in your budget then why not make the most of it? It’s humble and can be a lot of fun, you get to cook outdoors on a barbeque or bonfire while looking up at the stars. If you’re staying in a warm part of the world, you could set up a hammock (don’t forget your mosquito net) and enjoy nights gently swaying between two trees. Otherwise, a tent with a comfy sleeping bag or blow up bed will serve you well. You get to listen to nature and feel at one with the earth. It’s a place you can lay your head and get some rest, you can then spend the rest of the day exploring, getting out and about and doing what you want. It’s a small price to pay! 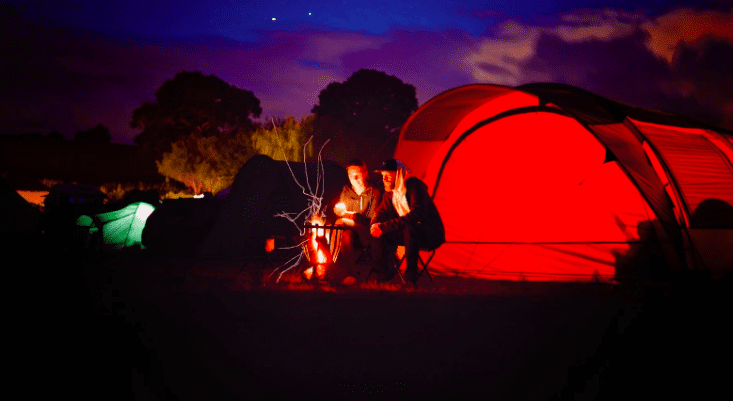 If you’re camping somewhere like a national park, some places will offer things like ‘glamping’ pods, lots of resorts in the UK have chalets or you could stay in a caravan. These will have basic provisions such as beds and cooking equipment which is useful if you’re not backpacking and don’t want to carry lots of items around with you. The best thing about going traveling in an RV is that you get transport and accommodation in one! You can tour destinations, doing incredible road trips and stopping at all the attractions and landmarks you want to see along the way. It’s cheap to do, certainly a lot cheaper than traveling via taxis and staying in hotels. It makes things like eating less expensive too, lots of RVs have fridges in that you can stock up, but even if yours doesn’t you could simply get a cooler and go to the grocery store each day. You’ll have basic kitchen equipment so preparing simple yet tasty meals won’t be a problem. Whether you want to drive across Europe or do Route 66, renting an RV and hitting the roads is always a great idea and gives you cheap accommodation. Park in a legal, safe place anywhere along the way or check into a campsite. Lots of places offer cheap hookups for RVs giving you access to running water, internet, and electricity. Just about anywhere you go in the world, chances are there will be a cheap motel within a reasonable distance. The only problem here is they can often be booked up, especially during busier periods so you might need to plan ahead and book this earlier than the night you want to stay. If you’re staying in an RV you could always have a night here and there in a motel where you can get properly showered and sleep in a real bed if you wanted to. Signing up for a chain of hostels often makes sense for long-term travelers. It means you can stay in any of the hostels from that company in any location, country or continent in the world. Whether you’ll be staying mostly around one place on your trip or will be moving around, it’s a great option. When you sign up for something like this, they often give you deals and offers on things like flights, tourist attractions and more. You can book it ahead of time so once you’re away you know you’ll always have a safe place to rest your head. Travel hostels are a fantastic place to meet other travelers too, they’re far from luxury accommodation but are clean and relatively pleasant, which is all you really need. Depending on the location and the time of year, you can sometimes find good deals on hotels, apartments, villas and other types of accommodation. Lots of places have the high season which is expensive and packed with tourists and the low season which is much quieter. The weather might not be as perfect and there will be fewer tourist attractions on offer, however, as a long-term traveler, this isn’t likely to put you off. Look at the price of rental HDB flats, hotels and other types of accommodation at different times of the year, and go when it’s less busy if it means you can now afford to travel. Lots of places in the world are in need of manpower- volunteering in any way can be very beneficial for them. It could be teaching children basic English or math, helping to build or decorate buildings, or working on various projects. In return, you could be offered a place to stay. This is a lot different to other types of travel and vacations, however, it’s a way to see another part of the world and genuinely do good in the process. It looks great on your resume, and when you’re done with your volunteer work for the day you can get out and explore. It could be a chance to see a country that you’d never previously thought of visiting. Have a look online to see what different programs are currently available, and get applying! Any kind of travel, to any place in the world, is a rich life experience. You don’t have to eat in the finest restaurants or stay in the nicest hotels. Simply getting out and seeing another place in the world broadens your horizons and expands your mind, so don’t let money hold you back. Try these methods for securing cheap or free accommodation, and you’re halfway there! Are there any other cheap accommodation ideas you’d add to the list? Let me know in the comments!